While 2017 ACA filing may still be a few months away, it never hurts to be prepared. That’s why today we’re going to prepare you with some knowledge about how easy it is to e-file Forms 1094 and 1095 with ACAwise! First things first, you’ll need to create your very own ACAwise account. You can schedule a demo with one of our friendly ACAwise team members who will explain everything about the ins and outs of the program. Or you can jump right in and create an account as an applicable large employer (ALE) or third-party administrator (TPA). When you create your account, you’ll indicate what you’re here for: just e-filing, e-filing with Cross Walk (to input employee data more easily), or full-service e-filing and compliance monitoring. Which option you choose will determine how your ACA Forms are completed! If you’re a simple business-person, just here for the e-filing, ACAwise does everything possible to make completing and transmitting your 1094 and 1095 Forms as easy as possible. Once you’re in your account, you’ll select to create a new return then enter your employee/recipient and health insurance information (including codes). You can do this by entering the data individually or through our bulk upload options. Using the data you enter, ACAwise creates your 1094 and 1095 Forms for you to review. Once you’ve confirmed everything looks okay, just securely transmit it directly to the IRS! When you sign up for e-filing with Cross Walk, you get an extra feature designed to make your 1095-C Form filing even easier! 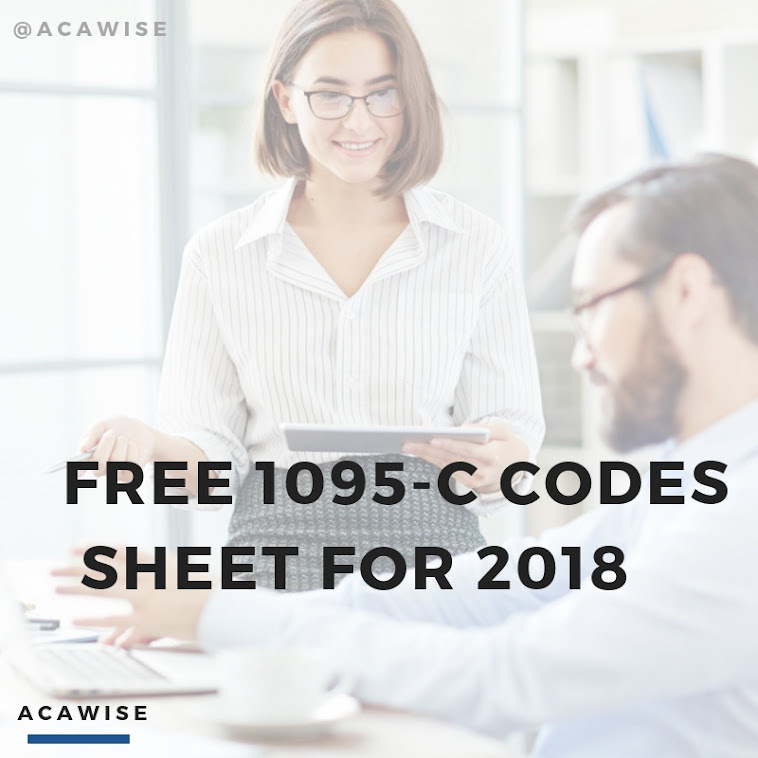 You see, 1095-C Forms need ACA Indicator Codes entered on lines 14 and 16 of each form to indicate specific information about the health insurance offered to employees. With Cross Walk, you just enter your basic employee and health insurance information, and our system interprets that data to generate the codes needed to complete the entire form. So once you’ve entered your data, reviewed the codes and your 1094-C and 1095-C Forms, you can transmit your ACA return directly to the IRS. Your motto is “Go big or go home!” and that’s why you’ve chosen to go the distance and sign up for a full-service ACAwise account. With this option, we get to have ACA fun all year long; just from entering your employee and health insurance data, ACAwise can track your information all year long to make sure you’re staying compliant with the ACA and IRS. You can view everything in real-time through your Dashboard, generate reports to learn more, and have everything squared away when it’s time to start e-filing. Since ACAwise tracks your data throughout the year, it uses this to automatically generate your 1094 and 1095 Forms when it’s time to file. Then, all you have to do is review the return and transmit it securely to the IRS! If you need help getting started - or at any point in your ACA e-filing - don’t hesitate to give us a call! Our US-based support team is here to help and is available by phone (704-954-8420) and live chat Monday through Friday, 9:00 a.m. to 6:00 p.m. EST. We also provide 24/7 email assistance through support@ACAwise.com.